KS Wild has hosted Richard Fairbanks to give talks about fire management, preparedness, and climate change throughout southern Oregon and northern California. His message is what is needed right now - he is forward thinking, not dogmatic, and grounded in decades of experience. Richard is a beloved member of the Applegate, Oregon community and speaks from nearly 40 years of experience working for the Forest Service and non governmental organizations. Here are the five points we found most important in the current discussion about wildfire, smoke, and what to do about it. Richard’s first few slides make it clear that current fire management techniques are not working. But, we wondered, how urgent is the need for reform? 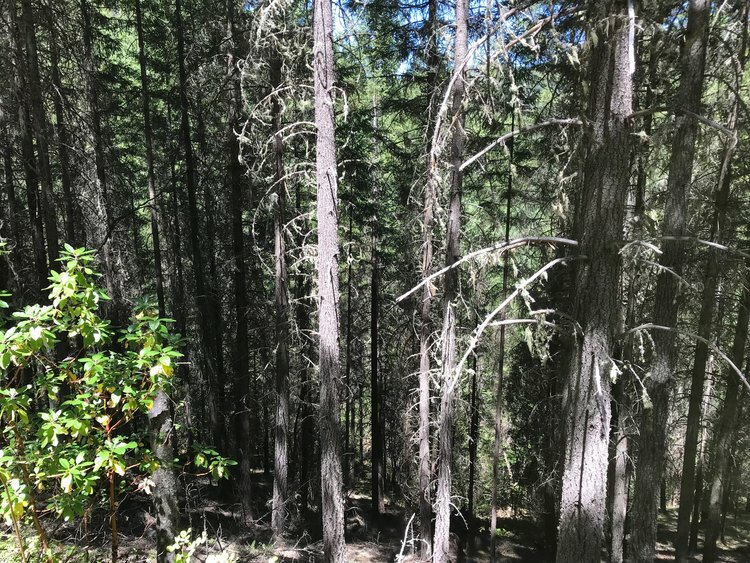 With climate change driving the fire season to be hotter, longer, and more intense than ever, it’s not just homes located deep in the forest that are at risk. Richard shows revealing images of how embers can travel a half-mile or more from a wildfire. These tiny chunks of burning wood are capable of igniting homes and other structures. How close are the subdivisions in southern Oregon communities like Talent, Ashland, Medford to wildland areas where intense fires can send out these embers? Some no more than a quarter-mile. That means we have the potential for an urban fire similar to those in Redding and Paradise (2018) and Santa Rosa (2017). “Embers are dangerous, they’re traveling a long way, and they’re coming to get ya,” quipped Rich. Richard argued that our modern system of fire management is basically backwards. Instead of sending hundreds of people out into burning forests in heavy gear during the hottest part of the year, we could be proactively lighting fires in the wet season. 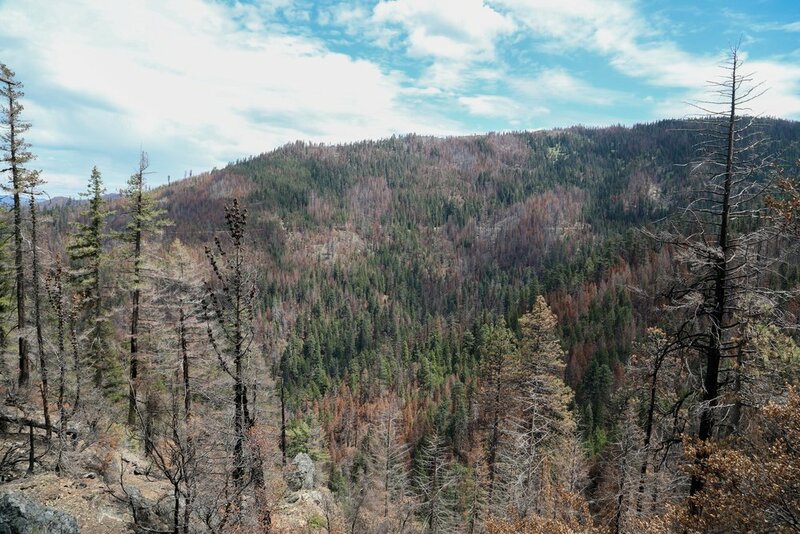 This would mimic the historic burn cycles of the mixed conifer zones of northern California and southern Oregon. Conducting low-intensity “underburns,” especially near roads and inhabited areas, would go a long way toward preventing the current dangerous situations that can be fatal to firefighters and civilians. Each year, 19 federal firefighters alone are killed in the line of action. Add to this the fatalities among municipal, state and privately contracted fire personnel, and the numbers go even higher. Lighting fires in the off-season, rather than waiting for them to happen in the hottest, driest part of the year, would also mean that we would have some choice about when and where smoke would occur. In fact, Richard explained, there’s more than one reason for smoke lingering in communities for weeks on end. The first, clearly, is wildfire, but the second is a weather effect called a temperature inversion, when a layer of cool air traps the hot, smokey air in the valley. There are many more days without inversions in the wintertime. On these days, we can burn without smoking ourselves out in the populated valleys. The smoke goes up to the stratosphere, not into our lungs. We have to remember that the forests in this region need fire to thrive. In fact, many plant species - including the beautiful wildflowers we love - rely on wildfire. Native American populations conducted extensive controlled burns across the region. It’s only our history of fire suppression, combined with the dryness and heat brought on by climate change, that has led to the current era of megafires. The loss of homes and infrastructure due to fire is a real problem, but we don’t need to reinvent the wheel to solve that problem here in the Rogue Valley. For examples of how other communities coexist with fire, Richard points to the pueblos of New Mexico. “They have not burned down once in 1,100 years, and they’re backed right up to a mixed-conifer forest,” he notes. Developers in southern Oregon and northern California may not jump on the idea of building all their subdivisions out of adobe and clay plaster, but legislation has already been passed in California to require homes built near wildland areas to meet “Wildland Urban Interface” (WUI) building codes. These codes take advantage of the latest in construction technology to greatly improve fire resistance. Oregon should look at similar codes, or, at the very least “Let’s get rid of cedar shake roofs and cedar shingles,” said Richard. Want to learn more about how to manage fuels and protect your home from fires? Take a look at some of Rich’s Handouts. Watch the full video of Richard Fairbanks' talk at the Northwest Nature Shop below. What Caused the Delay in "Craggy Project" Planning?